I also would like to try this spell. I tryd to order the green devil candle,compelling oil and compelling sachet powder.But unfortunately there is no paypal option on Lucky Mojo. I dont have a credit card and can not get one. Do you have any ideas?I really would appreciate. There is a Lucky Mojo retailer in Sweden you could order through - Johannes, who is also a member of the AIRR. Or you can call Lucky Mojo and arrange other forms of payment. About 3 years ago I made a substantial loan to a friend. Now this friend will not answer my calls. What can I do to force him to pay me? You are going to want to work with Pay me products. I would use the Green Devil spell located on the product page above. This is great for getting someone to pay you back when they refuse. Agreed. Go with the green devil Pay Me spell. Good luck, glegette! This is a great spell! the devil candle red can be used to cast a lust spell on a person? im interested in use it, but my questions are: how can i cast the spell? what oils I need to dress it? Is dangerous use "devil" shape candle? Re: how to use devil red candle to lust spell? Something is "dangerous" if you decide it is, or if the devil is "dangerous" in your mind or in your spiritual tradition. If you are fearful of the Red Devil candle, use a plain vigil red candle dressed with lust and love oils, or have the shop set a Kiss Me Now!, Fire of Love or Come To Me type candle. THANKS for your answers, your information will help me a lot. I am so happy to hear this and can not wait to place my order. We really need to thank Nagasiva for the hard work he does to keep these items available to ALL of us. I also can not wait to see the NEW Master candle. and see it available in the product catalog! Keep up the Great work Lucky Mojo, Ms. Cat, Nagasiva and the fantastic LM Staff! I was reading the discription for the Devil vigil candle and it says "to bring good luck in games of chance and allow you to have a "devilish" time in life", While the oil (Devil oil) says, "used by those who wish to harm others or bring mischief to them". Can someone clear this up for me? The Devil is an ambiguous figure in the world's folklore. I believe this is why we see this apparent cognitive dissonance between these identically named and labelled spiritual products. This is a good question. I would call the shop to get some clarification. I think they are both the same product though. Thank you both. And starsinthesky, I will do just that (call the shop for clarification). I was hoping Ms. Cat would see the post and give her input. I purchased a Green Devil candle from Lucky Mojo about two or more months ago, with the intention of using it to make the builder who had renovated our house fulfill his obligations. However we ended up having a nasty argument with him and his wife instead and I just wanted them out of our lives, so instead I did a freezer spell on them. This was completely effective and we never heard from them until yesterday. I wondered what had caused my freezer spell to fail and then it dawned on me that I had randomly burned the Devil candle dressed with Wealthy Way oil (I generally have good results with money spells) to attract good fortune with financial matters in general. I didn't do a petition or carve the candle with any intention. The builder wanted to come round and finish all outstanding work as a gesture of good faith, the day after I had finished burning the candle. It is pretty amazing that the candle produced the results that I had originally purchased it for without any input from me whatsoever. I'm actually stunned how effective it was. May I suggest that you do a divination (reading) on your work. If you do not read cards then perhaps you have a pendulum in which you can ask yes or no questions. If not, you can contact a member of AIRR and have them divine your work. From what you described, it feels like you may be getting your money back in increments. If there was no draft when you were doing the work and the candle went out, that could be a sign of him mentally fighting to not give you your money back.You stated that you want to continue the spell but the candle is complete. If you want, you can always use tea-lights on top of the same petition when you are in a pinch. However I always suggest to my clients to do a divination or have one done to see how the work is going. You want to see what is going on. You never know, the work might be done with no need to light anything else. I like the Pay Me spiritual supplies (alone) for this type of work too. If you read the website (http://www.luckymojo.com/payme.html), the green devil candle spell is listed. As I stated in a recent post on the subject of my green devil candle. The candle is finished and the person texted me and asked me to please leave him alone. He asked me to stop bothering him. I am not bothering him. He said he will be bringing me me my money as soon as he gets its it. I told him I am not bothering him. Do you think I should get another one? I finally landed me a great job, but there is already a problem. I need you all advice please, as to what I can do. Ok, the job on the temp service website says that the pay is $17 an hour, but if you have more experience, the pay is more. The temp service only is going to pay me $11.30/hr., but it clearly states on their website that the job pays $17(+) an hour. They are doing a false advertisement and I am not getting treated fairly before I start next week. I am still going to take the job because I need it and it's a blessing, and I do not want to say anything because the temp man might say something. FYI, whenever I get a job, I always let managers push over on me and I never say anything. That’s just the person that I am because jobs are hard to find and when I get one, I keep it and I take whatever, but now I want to do some rootwork. This will make my second job real job at the age of 31 because when I was working at my cousin bar, I wasn’t getting paid. I do not want to make the hiring manager nor the temp man mad at me. I have the experience and everything that the company was looking for because when I went on my interview the hiring manager told me this and he was very impressed with my resume and me as well. I scored a very high score on all of the tests and he told me that he saved the best for last because my interview was the last interview schedule for that they, and once we were finish I knew that I had the job. took out their time to say a prayer for me in regards to landing this job. Boss Fix is made for situations like this. In addition to the sweetness of a honey jar (with a pinch of poppy seeds, maybe, so they can't remember their excuses! ), I would work the "other side" of the equation by putting their names in my shoe. I would consider using Pay Me, http://www.luckymojo.com/payme.html , and Steady Work, http://www.luckymojo.com/steadywork.html . Angelael -- good ideas -- simple and direct! You need to stand up for it because the temp agency is getting paid MORE than $17 an hour to find someone to fill the position and by giving you $11.30 they are pocketing an additional $5.70 per hour at your expense. They are making a huge chunk off of you and that is just unethical and wrong. I'm sorry I don't have any hoodoo advice I just am appalled that you feel that you are powerless in this situation. 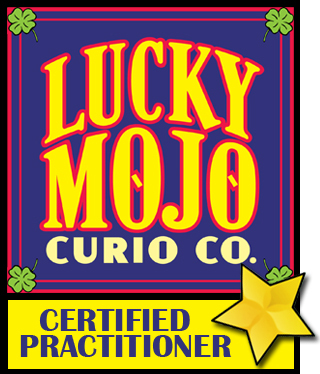 Hey that might be a good one to add to your work is lucky mojo's power products. speed up release of student loan funds? I am thinking that Pay Me Now products with money drawing herbs might help my situation but would love any input. I am hoping to speed upthe process on my student loan funds being released to me. My loans are ment for my housing which is due by the 10th. I signed the check over to the school and just waiting for disbursment which can take up to three weeks. Would possibly petitioning St. Expedite and dressing candle with pay me and money drawing herbs be along the right track? I,m hoping to get my funds released asap so I can pay my housing,buy my books and start the semester off right. Thanks for any insight. Sounds like you have a very good game plan here. There are two people (no longer in my life) who owe me a total of $200 between them. They, of course, contend that they don't owe me this money and won't pay me back. I've removed them from my life and cut contact between us, as well as going the route of various cleansing and healing spells and products to move on and erase any negative emotions that I have towards them. But $200 is really not a small sum of money for me, especially at the moment, and I really need it back :/. Also I feel like the break would be completely clean if I could get that last hurdle out of the way. So I've looked into the Green Devil Money Back Spell, which seems great, except that it requires contacting the parties involved during the casting of the spell to ask for the money once again. Is there any way to do this spell successfully without that contact? I really feel like contacting either of them again would just open up lines of communication for more potential (emotional) abuse -- also I have very strong anxiety and this would trigger it like mad, and I'm worried about that energy effecting the spellcasting negatively :/. The last contact that I had with either of them (which was to request the money be paid back, again) was about a month ago, so it's not something they're unaware of or is out of their minds. I'm also worried that if I don't contact them during the spell that the spell will not be successful though. Why not write them a dressed letter? Inform them that you intend to talk his to small claims court and then sue for your attorney's fees. I sure hope you get that money back! I'm not sure it's enough of an amount for it to be worth a lawyer, especially since the money I gave them was with I guess a "verbal agreement/contract" rather than anything a court could really nail them with :/. I also worry that getting lawyers involved might only increase my entanglement with them? And I'd rather just get away from them as quickly as possible lol. Maybe I could go the route of having a friend contact them (who was there at the time all this badness went down and knows the situation) to ask for me as a proxy, so that I don't have to worry about their replies and such? heyitsmeagain, Along the same lines that Miss Aida suggested, what about a third party? This doesn't have to be an attorney, but perhaps another mutual friend or someone who is only your ally, (a family member perhaps?) who could either call on your behalf, deliver a dressed letter for you, or speak with them for you. Re: speed up release of student loan funds? I meant to come back to my post and let other students with a similar situation know that it worked though in that lovely unexpected way that happens when petitioning saints My dad paid my first months rent,received a advance payment and loans released in two weeks time. I was brought to tears at one moment during my petition to St.Expedite and knew he was there with me listening and understood my need was real. I also came to him humbly and on my knees, admited my faults in getting into the situation I was in and praised him. Praise to St.Expedite. That plus the money candles worked wonderfully. Oh he did not like the classical music that was playing softly he kept turning it off each day. I'm burning the Devil green candle , I started on Saturday as it says, I anointed with compelling oil, Pay me oil . And before I begin my "work" I anoint myself with crown of success ! I'm demanding this man who I gave my money to buy me car to give me either the money or the car he owe me since more than 6 months. Eventhough I have a court date this month but I'm getting frustrate is getting really hot here in LA CA and I need a car to go job hunting too . I'm new to this site and hoodoo in general , but things have been really bad for years to the point I wanted to take my life but thank God I'm still here , what I did I started going through the forum read almost every day ; I ordered the 13 bath, I started the bath on the 23 last month March and finish on the 4th this month April , I must say I felt good like things were lighting over me. I just want this man to give me my money or my car , so I can start " my life " I feel like I'm getting depressed again . Spells don't work overnight. You MUST have patience. And, you must have confidence in your spell work. So, PLEASE, get out of the depression (easier said than done, I know) and have some faith in yourself and your spell work. Did day 1 of the Pay Me Back spell today and noticed something interesting! It might be/probably is nothing, but I figured I should ask if there's any significance . Since there are 2 people that owe me money, I used 2 green devil candles (one for each). One candle burned down about twice as fast as the other one did, and the one burning/melting very slowly is the one with the name of the more stubborn/stronger-willed person carved on it. Could it be the spell is taking more time/having to work harder on that person because of that, which reflects in the rate at which the candle burned away? It's a neat coincidence, if nothing else! I have learned that nothing is a coincidence. Especially with candle magic. They are identical candles, right? And you are absolutely right about the signs. I am going to give you a page that will take you to several links that will help you and give you some ideas on what to do. Get creative in your spell casting with this candle. You can send it out to harm somebody by inscribing on it, with your petition, with your oils, and with your herbs. Just treat it as if it is under your complete command. I'm a newbie and recently received my first package of lucky mojo goodies. Oh I love them and can't wait to use them. One of the items I ordered is the Green Devil Candle and I hope someone can guide me to the right path and answer my question. I am going to do this for my partner. Someone owes him big sum of money. But don't know how to do the petition wording on his behalf!!! Do I need to carve the candle like "give (partner's Name) his money"? Or when asking the Green Devil " I seek what is rightfully his", is this correct? Do I need to protect myself and my partner after doing this spell? I don't have any protection herbs. All I have available is Florida Water. Is that enough? I am going to move and then merge your post to the appropriate subforum where your questions are already answered. Please take the time to look at the posts with great spell suggestions. (if you feel that the Florida water wasn't enough). Saturday I started working the Green Devil spell on someone who owes me money. It is obvious that after this work is finished, I am going to have a substantial portion of the candle left over, along with the ashes from the name paper. I'm not sure what to do with these. I understand the general rules for disposing of ritual remains, but here's the source of my question: I can consider this a positive spell, as I'm looking for a positive outcome for me: getting the money that is rightfully owed me. So by that logic, I should bury the remains in my own yard. On the other hand, I'm invoking some unpleasant consequences for the fellow that hasn't yet paid me. In that sense, this is a coercive and potentially harmful spell, one that I would dispose of at a crossroads or in a running river or bury in a cemetery. Which is it? Positive or negative? Bury the remains at home or get rid of them? If you can bury it where the person you are targeting will walk over it! Under their front steps in their front yard or something like that would be great. Otherwise I think I would take it to a graveyard and ask a spirit in the graveyard to help carry out my work and bury it with that spirit. Hope this is helpful! Question- who or what is the Green Devil? Someone is trying to screw my folks out of a big chunk of money in a shady business deal, and it seems like the green devil spell is the way to go. Is the green devil an entity or spirit that is doing the work on the target? Thanks! I hope your parents prevail! I am preparing to perform the GREEN DEVIL MONEY-BACK SPELL starting tonight (hopefully I have posted this in time) and I am reviewing the instructions. I have one question. I get the "write his name 9 times" part, but does the "and cross his name 9 times with the words "GIVE ME MY MONEY!"" mean write "GIVE ME MY MONEY!" 9 times across each name for a total of 81 times, or just once across each name for a total of 9 times? My husband's part time practice closed last month because of heavy losses and non collection by the billers . The overhead was to much to sustain . As it is ,my husband is just recovering from cancer surgery 2 months ago , on top of this -these heavy losses . It was later found that the biller had not sent the bills to the patients that they owed ,nor to the insurance companies in the last 6 -8 months !! Now the new biller is facing the challenge in collecting the due bills from the patients that they owed ( there are roughly 300-400 pts !) . Many of the patients were so used to '' free service '' ,that the new biller is having a very tough time collecting it . I have a plan from the forums - I will anoint myself with crown of success and petition St Expedite on wednesday with his candle . I will take 1ST green candle -carve my husband's name and anoint it with pay me oil + money drawing oils . ( should i add power oil, command oil, crown of success & john the conqueror oil too ) place on his picture petition/visiting card . I will burn it everyday 15-20 min till results . All sincere suggestions are welcome ! What a terrible thing to happen. Did the biller work for a company? Can you sue the biller or the company that the biller works for? Also, so very sorry to read about the cancer. Hoping that this surgery has cured him. Thanks Ms Aida for your prompt & caring response ! My Husband's recovery is going good , but its a life long PSA level monitoring now and being very vigilant about it . The biller was the owner of the company and we found out she also has violated state laws ,HIPAA laws etc . She has been send a legal notice by our attorney ( but its a tedious battle ..) . Also for the New biller to take over this mess ,sort it out & submit due bills is time essence , as most insurance companies have a cut off time limit to submit patient bills ! So for the 1ST green candle - should i add power oil, command oil, crown of success & john the conqueror oil too ,in addition to pay me oil + money drawing oils ? 2nd Green candle for the biller - should i add power oil , crown of success too , in addition to '' i can ,you can't '' ? This is a TERRIFIC page that Miss cat wrote for situations such as yours and lots to choose from.